The 2017 Superstakes is heating up with our May Bonus Drawing. The winner of the 2017 R 1200GS Rallye Edition and $5,000 in accessories will be announced Saturday, May 27 at 5pm. The results will be posted on the BMW MOA website and social media channels. Stay tuned to find out the name of the lucky winner. 5,912 tickets were purchased by the deadline for the May Bonus drawing and will be included in the drawing. Curious if your ticket made it into the May bonus drawing? Download a COMPLETE LIST OF TICKET BUYERS and search for your name. The list is alphabetized by last name. The winning is only beginning. 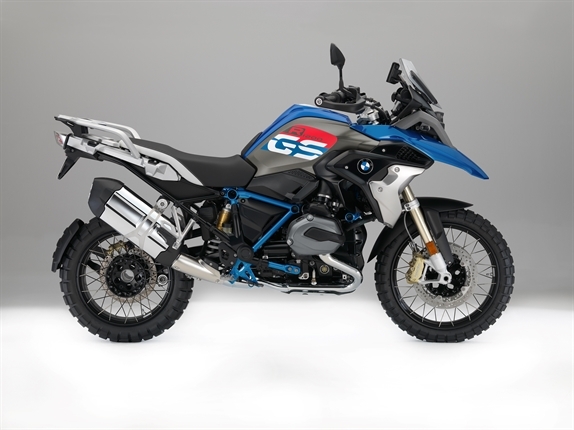 We're giving away another 15 new BMW motorcycle on July 8th. Tickets will remain on sale through June 30, 2017.